…The author writes that the man ducked back into his bedroom and the SEALs followed, only to find the man crumpled on the floor in a pool of blood with a hole visible on the right side of his head and two women wailing over his body. Bissonnette says the point man pulled the two women out of the way and shoved them into a corner. He and the other SEALs trained their guns’ laser sights on bin Laden’s still-twitching body, shooting him several times until he lay motionless. 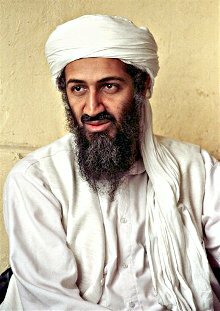 Only when they wiped the blood off his face, were they certain it was bin Laden. These revelations illustrate two important points from the bin Laden raid. First, the Obama administration pathologically lies about the nature of their secret operations in order to make targeted killings seem like self-defense when they are not and thus to immunize the operatives and the administration. This should be a lesson coloring our perceptions of everything from drone strikes to other elite commando raids, most of which we know comparatively little next to the Abbottabad operation. The other point falls somewhere along the lines of what Noam Chomsky wrote immediately following the assassination operation on bin Laden. “It’s increasingly clear that the operation was a planned assassination, multiply violating elementary norms of international law,” he wrote. “There appears to have been no attempt to apprehend the unarmed victim, as presumably could have been done by 80 commandos facing virtually no opposition…In societies that profess some respect for law, suspects are apprehended and brought to fair trial.” But if President Obama suspects you’ve done wrong, no court or trial or judge are needed; he’ll just kill you by royal decree.